MSE Creative Consulting Blog: "Longest and Most Complex Power Grid Rebuild in U.S. History"
"Longest and Most Complex Power Grid Rebuild in U.S. History"
ABC News just had a spokesman for Florida Power & Light on and he made that statement. He talked about the huge effort needed to rebuild the grid. I know that trucks and crews from Westar Energy in Kansas left two days ago to be onsite to help. 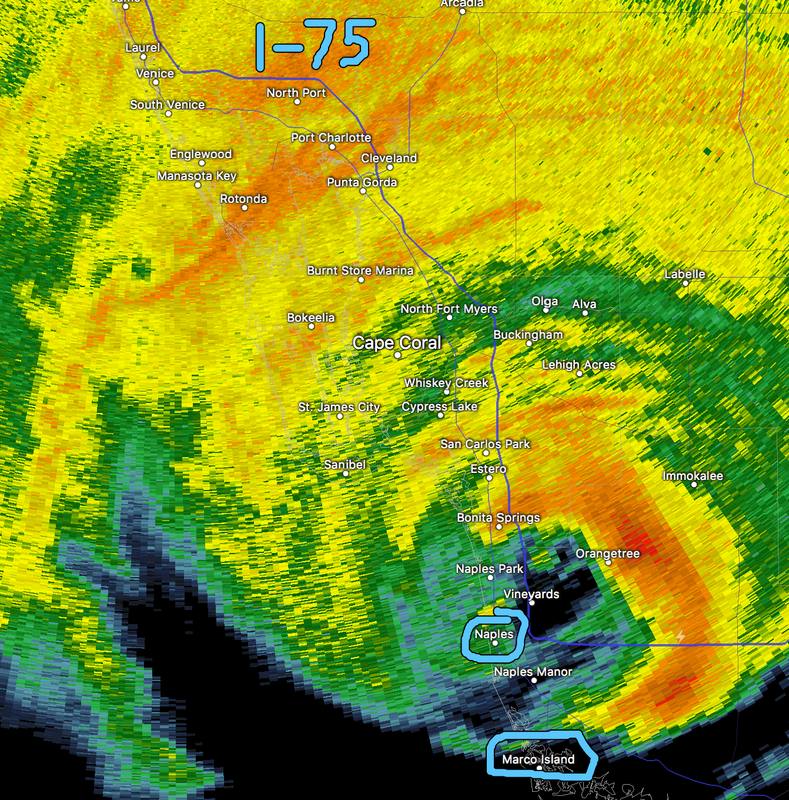 I circled Marco Island and Naples. The storm is moving N to NNW. Peak winds are now around 110 mph and it has appeared to weaken just a touch in the last hour. This is going to be my last update on this storm. There is not much more I can do in terms of weather forecasting. Please switch over to accuweather.com for the latest information.